Don't be alarmed by the recent news that African American women only have a median net worth of $100. I'm actually glad to see that it wasn't in the negative. The reality of the situation is that too many people define themselves based on income. Don’t be alarmed by the recent news that African American women only have a median net worth of $100. I’m actually glad to see that it wasn’t in the negative. 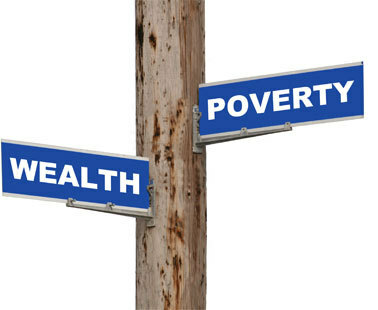 The reality of the situation is that too many people define themselves based on income. Many say “I make six-figures,” or “I need to be in a two-income family.” This is senseless talk. If you are not saving or investing that income in a place that will create true wealth, you are headed for a three-figure-net-worth future. When I discuss what it means to be rich at seminars, I explain that the vision is different for everyone. But the one constant is that you will need to have wealth to achieve that rich vision. There is a simple formula for net worth; it’s assets minus liabilities. Please note, INCOME is nowhere in this equation. Knowing and accepting your situation is the first step to overcoming any situation. Subtract everything you owe, i.e. credit card balances, car loans, mortgages, student loans, etc. Do not include utilities because that is not a debt, you can turn that off and the bill goes away. Unless of course, you have to still pay for months that have already passed (as in overdue bills). Get your outcome number from applying steps 1 and 2. This number is your net worth. Don’t panic or be alarmed if your number is in the negative. This is very common for the first time you apply this exercise.Â MyÂ number was like minus-$30,000 or something the first time I calculated my net worth. I once interviewed a woman for a magazine story who said she actually got diarrhea after she realized her financial situation was so bleak. But imagine what she would have gotten if she didn’t correct the situation. She was about $20,000 short every year for her basic living expenses, which was making her credit card debt mount and continue to ruin her net worth. But after she realized it, she got a job making more money and she is now living quite pretty. She actually lives close by me and she is doing quite well for herself with her million dollar home.